Your help is needed! Where, in your opinion, are the limits of traditional blazoning, especially if you want to apply it in different languages? Do you have any ideas and thoughts on or examples of the problems mentioned in the blog post? Please feel free to comment it on the blog (in English, French or German). A friend recently sent me a link that I thought was too good to keep to myself, so here I am, sharing it with you! It's the website of the Pratt Institute Library, and specifically their collection of 19th and 20th Century Ex Libris, or more commonly, bookplates. The collection currently contains some 1, 264 ex libris, many of which are heraldic. To whet your appetite, here's just two heraldic ex libris from their collection. Is a "dog dormant" in an heraldic posture? 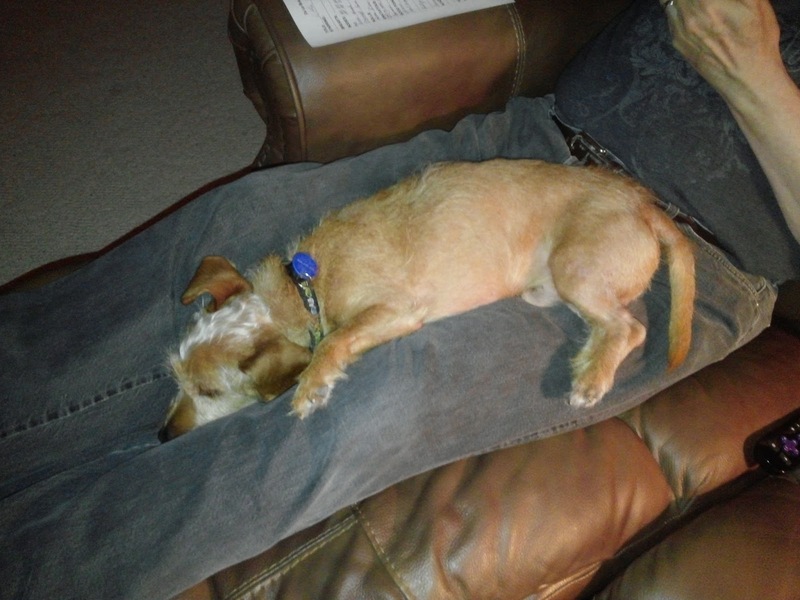 More to the point, is this a picture of a "dog dormant"? A little more than two months now since I retired from my full-time job, and I think I'm finally starting to develop the routine that I had been thinking about for some time well before my retirement date came around. For those of you who don't know, I had been considering retiring sometime this year anyway, though my plan was to wait until the end of the year to do it. But my mother's health had been on a bit of a roller-coaster ride for several months, and I felt the need to go out and be with her and do whatever I could to help her out. Since that was not something I could do from here (I live near Dallas, Texas; she's lived in Las Vegas, Nevada since 1963), I needed to go out there. And because I had no idea when I left how long it would take to get her situation to where all of her needs were taken care of, I didn't feel I could just take a two-week "vacation" from work and then come back. (Indeed, in the end it took us just short of a full month to do everything that was necessary for her.) So after a lot of discussion with my wife, I turned in my notice and my last day of work was March 4, 2016. Now, I've never been worried about being bored during retirement; I've got a very long list of projects. Some are pretty prosaic: yard work, stuff around the house. Others are more involved: putting in some shelves where my wife would like some; changing out the regular door from the master bedroom to the main bathroom to a barn door-style sliding door. And some are really never-ending, like continuing to work on the family genealogy. But the ones I've really been looking forward to involve having the time to do some serious research on heraldry projects. I've told people for some time that I was looking forward to retirement because I'd then have the time to do the research for the three (at least!) heraldry books I wanted to write. One is a relatively small project: the coats of arms along the exterior of the Santa Maria Novella church in Florence, Italy. I'd taken photographs of them all when we were there, and I want to find the names and histories of the families represented and and publish them with the pictures. Another, bigger, book is a new edition of the colonial American Gore roll of arms. (If you are interested, I've still got some copies of the first edition available for sale at http://www.appletonstudios.com/BooksandGames.htm) What I want to do for the second edition is more research into the individuals who bore the arms and get their histories into the book, as well as to add a few more photographs that I hadn't yet had the opportunity to take before doing the first edition. Here I am in Boston, Massachusetts back in 2008 getting to see the original Gore roll, which is held in the archives of the New England Historic Genealogical Society. Another big project I actually started working on before I retired, and have put even more time into since then, is the creation of what I think of as a database of arms as used in the United States. 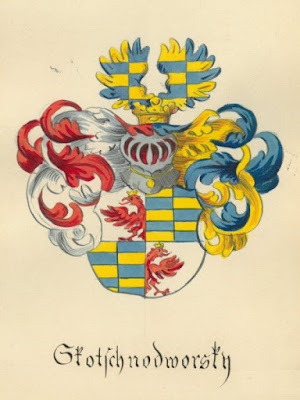 Ideally, when it's done I'll be able to both sort arms from all of the sources I'm pulling from alphabetically by surname, and also to search them by the charges on the shield, thus being able to use it as an ordinary as well as an armorial. It's a bit of a job, and I'm pulling American arms from a lot of sources - Crozier's American Armory, Matthews' Complete American Armoury and Blue Book, The Heraldic Journal, the NEHGS Roll of Arms, and a whole lot of others (though not Bolton's American Armory, because there are just so many errors in it; not that the others are error-free, but sometimes you just have to draw the line somewhere!) - and I've still got a ways to go, but it's coming along and I can see the time coming when it may be a useful thing to use for researching arms as they have been used in the U.S. And although I'm really doing it to simplify my own heraldic research, once it's done I will be willing to sell or share it if someone is interested in it. I'll try to keep you apprised of the progress of this project as it gets closer to completion. So I've been busy since my retirement, and expect to be so for the foreseeable future. And now that I'm finally getting into a routine, I also expect to be reasonably productive, not just with the household projects, but with my favorite hobby, heraldry! 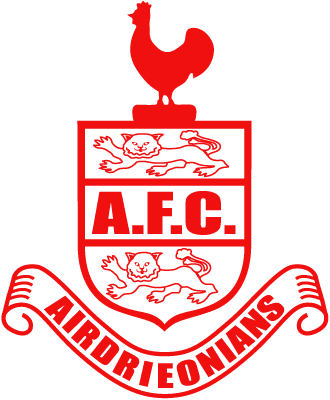 In an article published in The Scotsman two days ago (May 14, 2016), lawyer for the Airdrieonians Football Club Colin Telford gives a synopsis of the events surrounding the judgment by the Procurator Fiscal of the Lyon Court that the badge used by the AFC is "an heraldic device" and requiring them to regularlize it by a grant from the Lord Lyon King of Arms. Of course, the heraldic rules in Scotland will not allow them to register it in its current form, because it has letters on it ("A F C"), and you can't have letters on your shield in Scotland. Mr. Telford then likens this judgment to "a death sentence," which seems just a little "over the top" to me. He goes on to note the ways that have been attempted to get around this ruling by the Lyon Court (including petitioning the Scots Parliament in Edinburgh and the British Parliament in Westminster), and having failed there, suggests one more way in which AFC (and now, Ayr United) might still try to do an "end run" (to borrow from American football terminology) around Lord Lyon, by petitioning "the Scottish Government and the Advocate General for Scotland" to obtain a review of "this ancient law." It's a nice summary of the whole situation, but I still think he's looking at it through the wrong end of the telescope. First of all, corporations of all kinds (and the AFC is a corporation) change and "update" their logos all the time. There's no reason that the AFC couldn't do this; there is no law anywhere that they must continue to use their current badge in its current form. 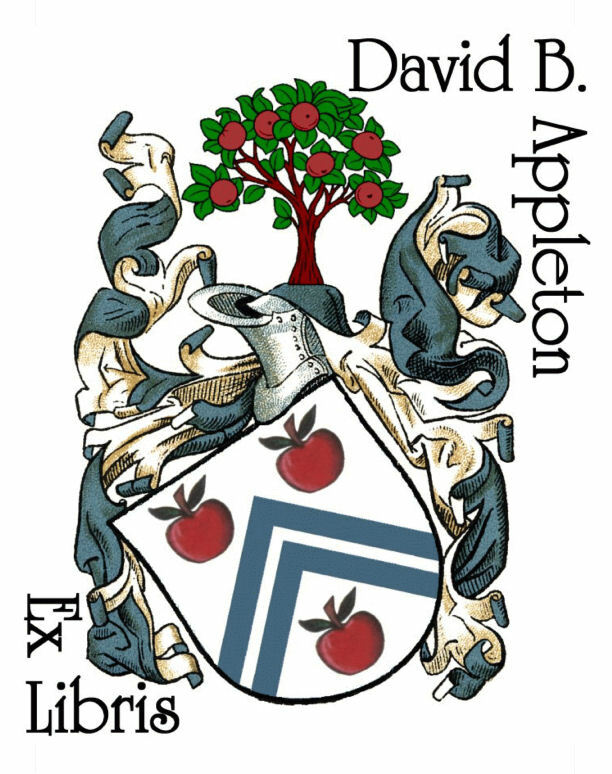 Second, if they feel they simply must have the letters "A F C" on their badge, then place them on something that doesn't look like heraldry; that would take it out of the jurisdiction of the Lord Lyon. As it stands, though, they are spending a lot of money (I have no idea how much lawyers in Scotland get paid, but I know the rates here in the States are pretty high) to try to get around the law, rather than do the right thing and conform to it. But that's just my opinion, and I may be in the minority here. The lawyer of the Airdrieonians' Supporters Trust, Colin Telford, has weighed in on the debate over what the proper role of the Lord Lyon King of Arms should be in respect to the "badges" used by football clubs in Scotland. While he notes that he has no particular objections to the Lord Lyon King of Arms Act of 1592 (or how old it is), he believes that the law should be enforced differently than it is. Currently, the Lyon Court only takes action if a complaint is made or if a matter is drawn to its attention. He believes that either (1) the Act should be enforced proactively and consistently (something I don't see happening given what it would cost the government to so do), or (2) a change of policy should be made to reflect current public interest. 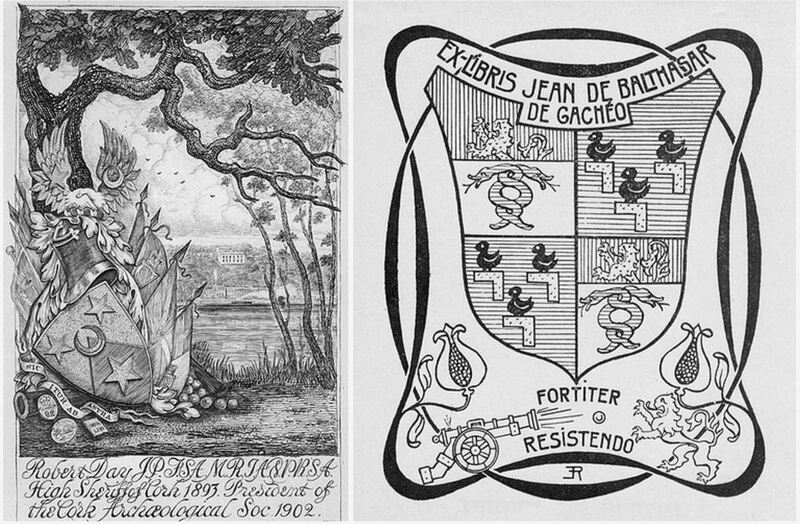 Mr. Telford believes that the latter is preferable, and heraldry should "be restricted to individuals, the government, the military and the monarchy." Such a change would, apparently, open up corporations - and thus football clubs - to use whatever "logo" they want, because no matter what it looked like, it would no longer be considered "heraldry." I think he's missing something important here. If the football clubs in Scotland would simply change their logos (which doesn't really cost very much compared to regularizing their arms-like logos) to something that no longer looks like heraldry (e.g., not put it on a shield shape, not use heraldic-style figures, etc. 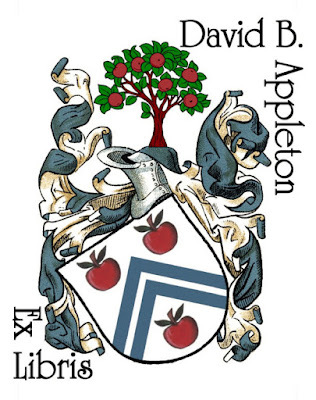 ), then the Lord Lyon could have no possible objection to the new logos, since they would no longer look like arms and thus would no longer fall under the jurisdiction of the Lyon Court. I don't know; maybe I'm way off base here. It just seems to me that if you don't want a centuries-old government agency which has been around for a lot longer than any football club* telling you what you may and may not use on your logo or badge, you should simply change it so that it doesn't look like something that falls under the jurisdiction of that agency. Or would that be too simple, because some of these football club badges have been in use since the 1950s? * I have a similar problem with people who buy a home near an airport and then spend a lot of time complaining to their local governments and trying to restrict flights in and out and attempting to pass ordinances to reduce the noise. They knew the airport was there before they moved in. There's a fascinating blog post about the discovery and excavation in Kubán, Russia of a Messerschmitt 109 from WWII. The pilot has been identified as Lieutenant Adolf von Gordon, who failed to return from a mission on April 20, 1943. Found with his remains in the fighter plane was a signet ring with his family's coat of arms engraved into it. The post also includes a color painting of the arms. The men who excavated the Me-109G-4 are looking for relatives of the pilot in order to return the ring to the family. In a May 2, 2016 article in the New Zealand Listener, Clare de Lore interviews Philip O'Shea, New Zealand Herald of Arms Extraordinary. 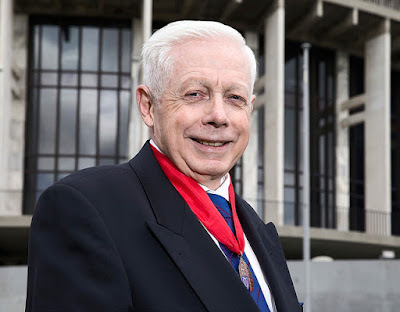 It's a great view of some of the work that Mr. O'Shea does as New Zealand Herald Extraordinary, as well as some insights into the person and personality of this man who represents the Queen and the College of Arms half a world and a hemisphere away from England. I ran across a May 1, 2016 article about the history and legacy of one of the better known heralds of the College of Arms, Sir William Dugdale (1605-1686). He was and remained an officer of arms at the College of Arms through one of the most turbulent periods of British history, the Civil War. He was Rouge Croix Pursuivant from 1639-1644, Chester Herald from 1644-1660 (the illustration of him above was made in 1656), Norroy King of Arms from 1660-1677, and Garter Principal King of Arms from 1677-1686. 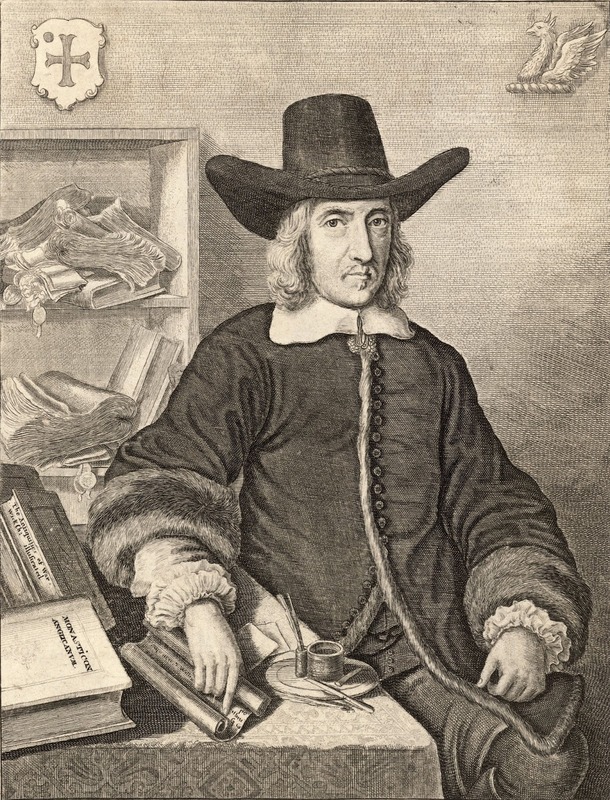 He was also one of Britain's foremost antiquarians, widely published and well-respected by both sides in the Civil War.